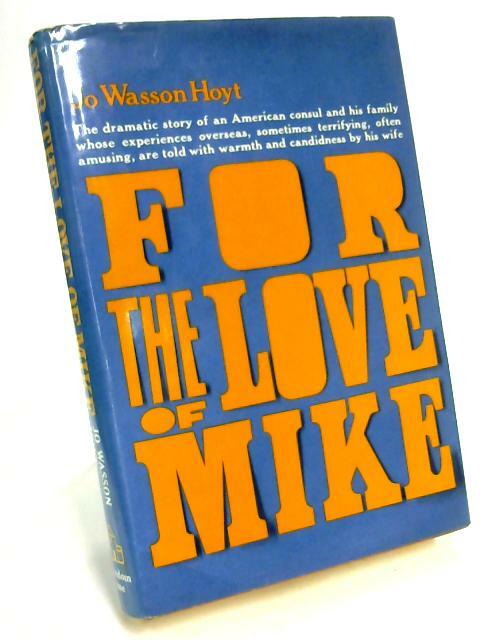 For the Love of Mike by J Wasson Hoyt, F Graham Jr.
1966. 210 pages. Blue jacket over red cloth boards. Neat, clean, well bound pages with very minimal foxing, tanning and thumbing. Contains neat inscription. Boards have rub wear and marking with mild forward lean and sunning to spine. Bumping to corners, edges and spine ends. Dust jacket is price clipped with mild rubbing and marking. Light tears, nicks and creases to jacket spine, edges and corners. J Wasson Hoyt, F Graham Jr.